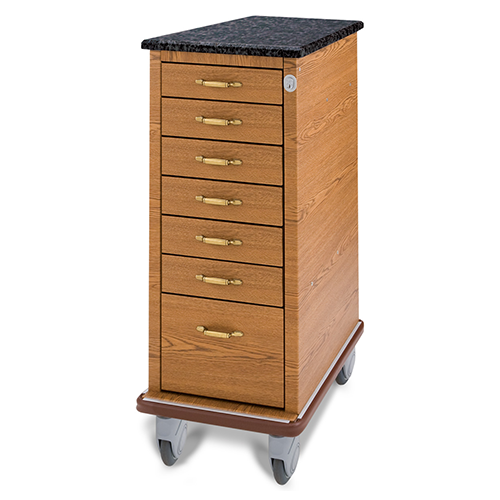 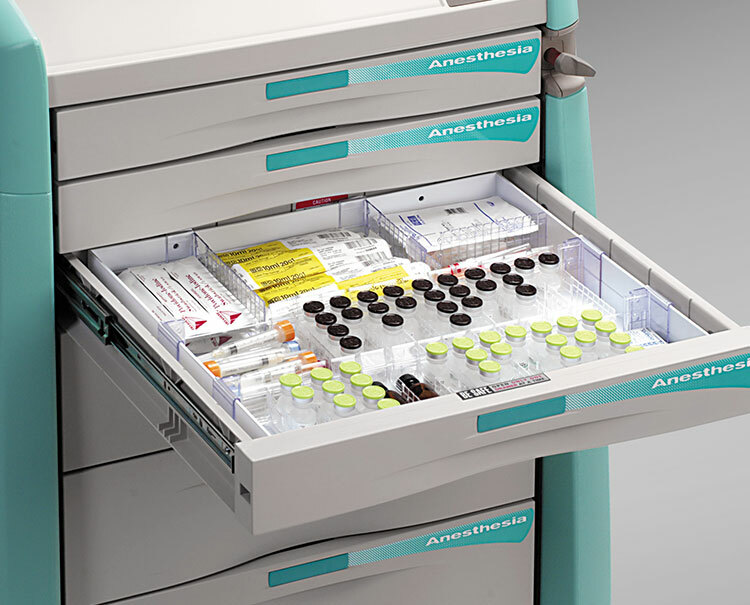 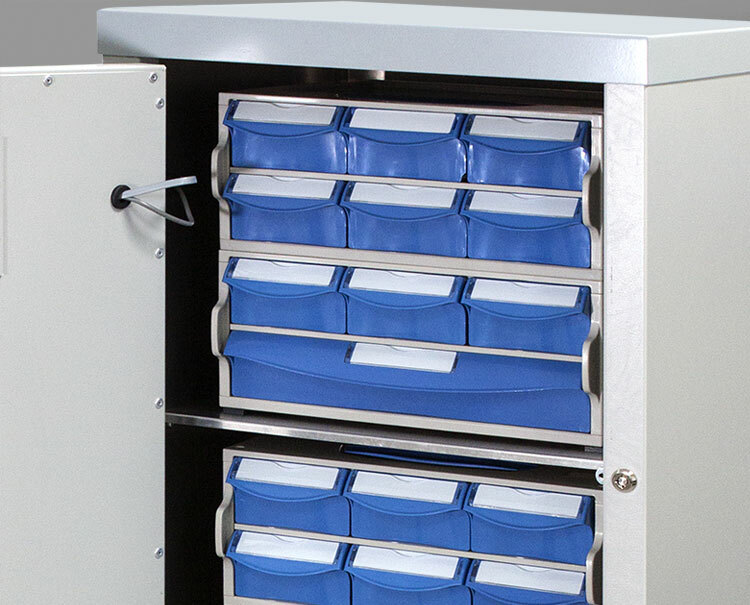 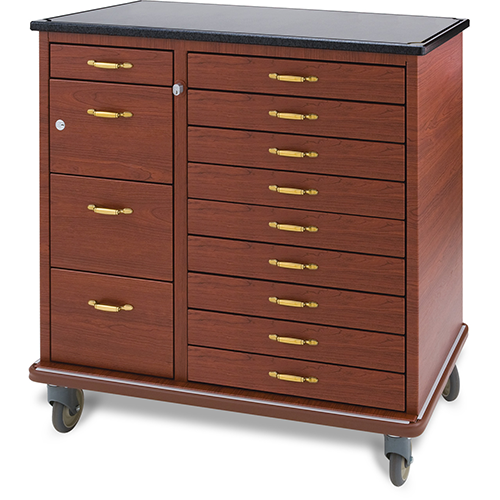 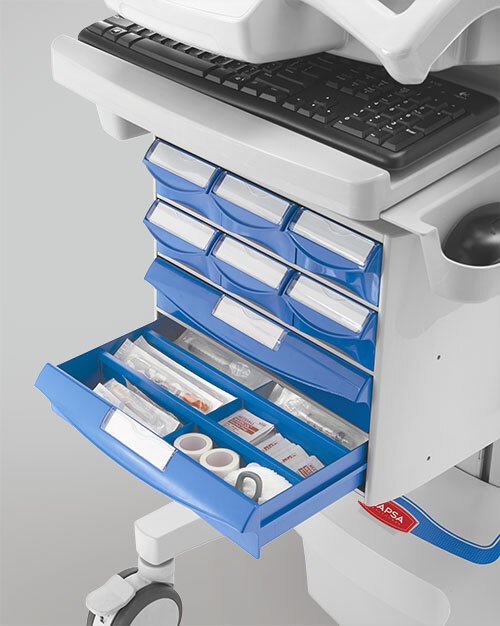 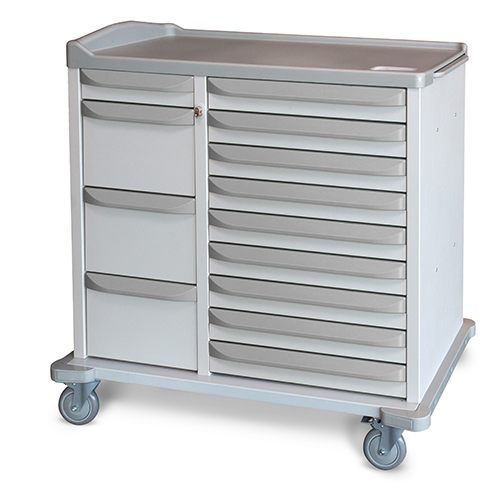 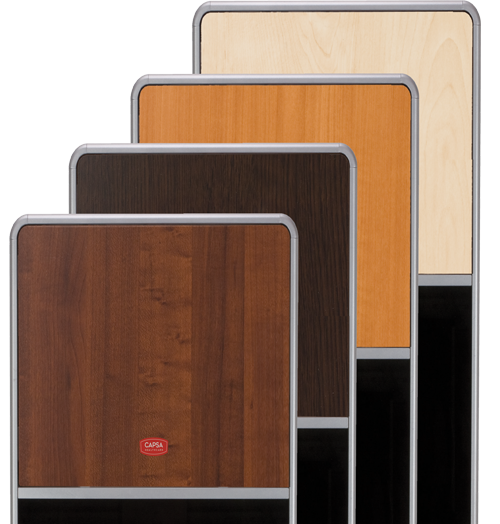 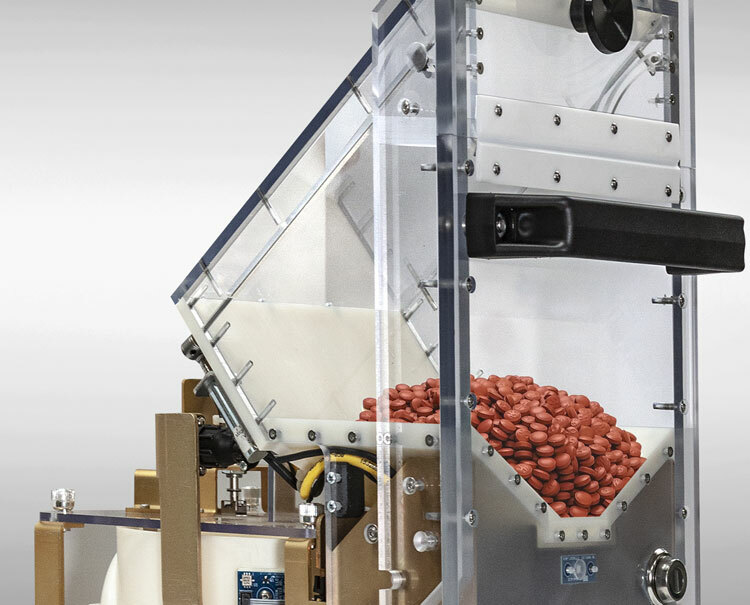 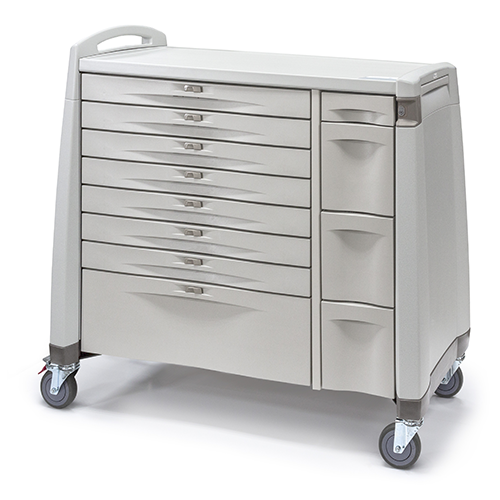 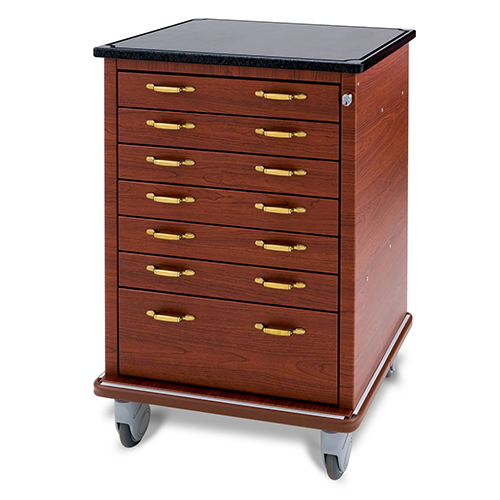 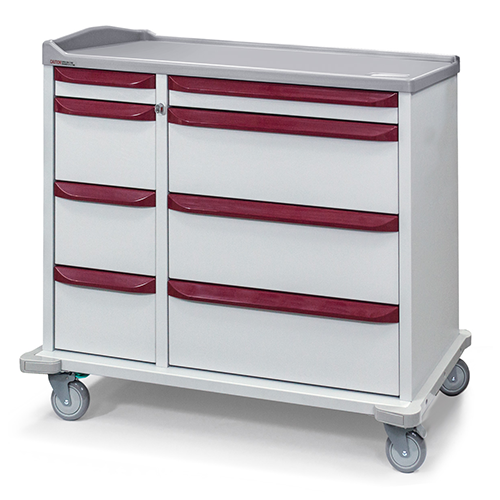 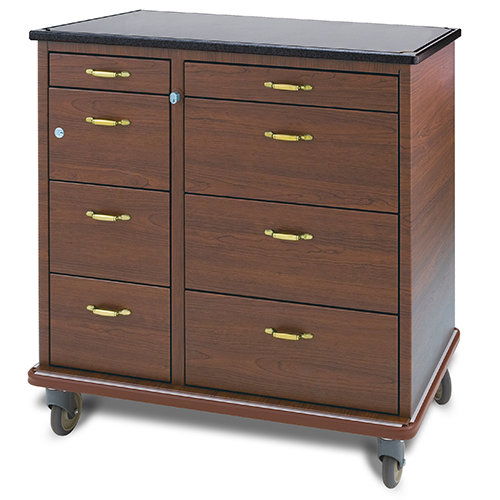 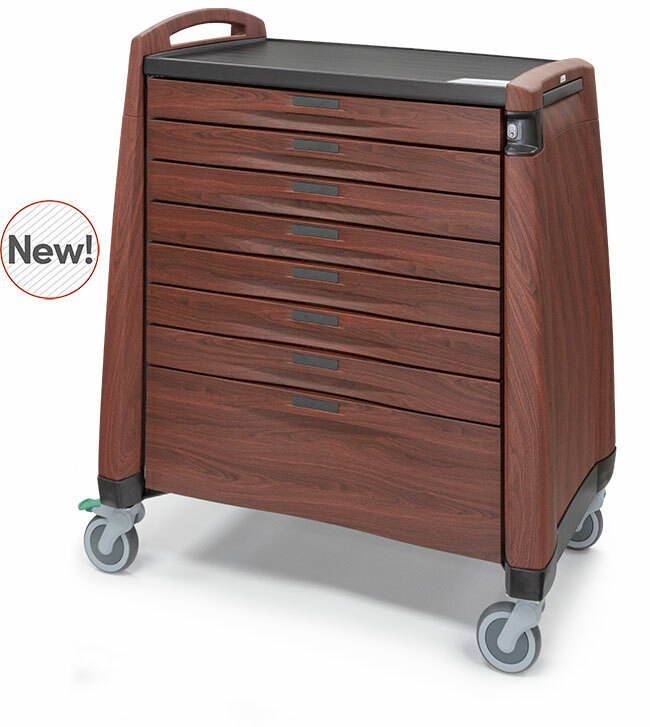 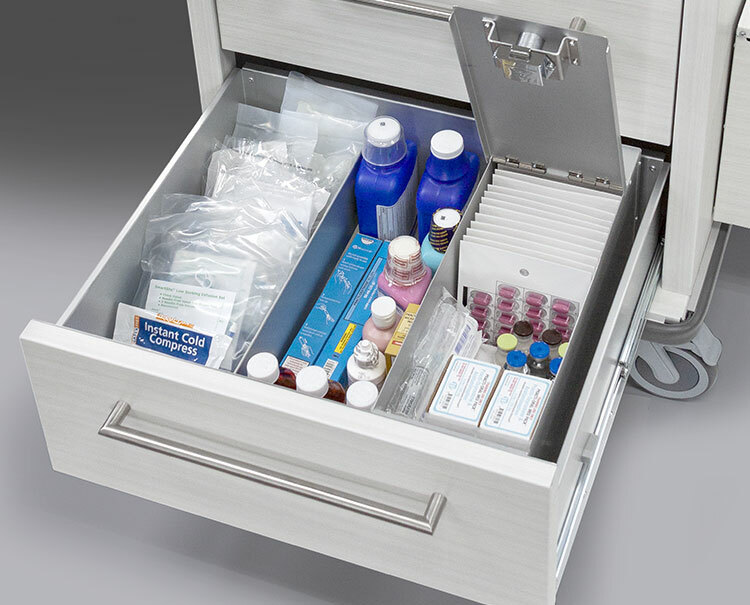 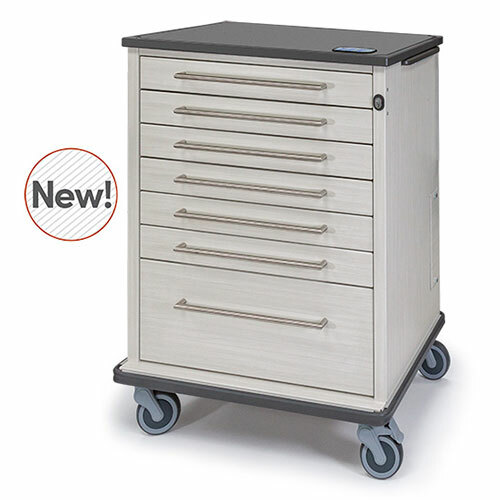 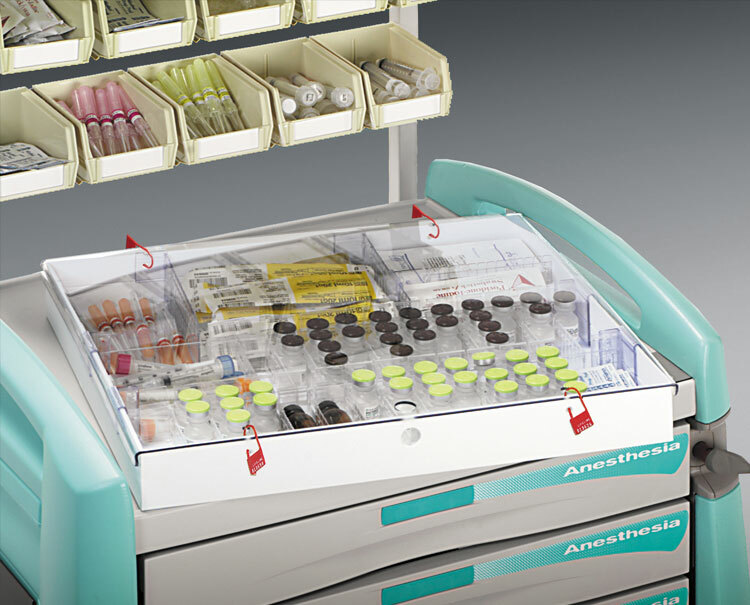 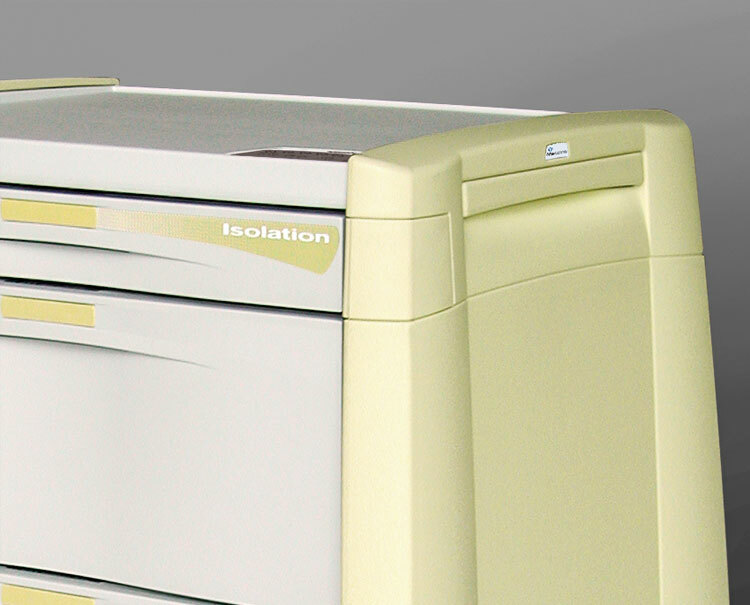 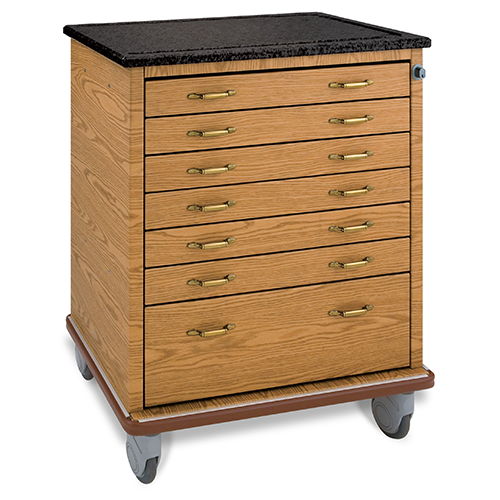 Modern medication storage and organization requires an attractive, configurable medication cart design that offers maximum capacity, durable construction, and premium workflow accessories. 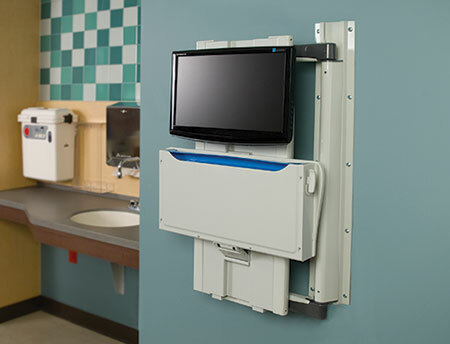 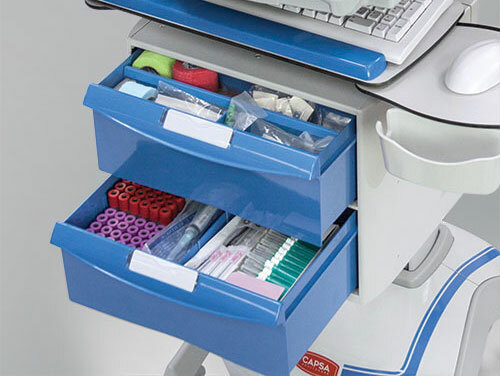 These requirements come standard with every Capsa Healthcare medication cart model. 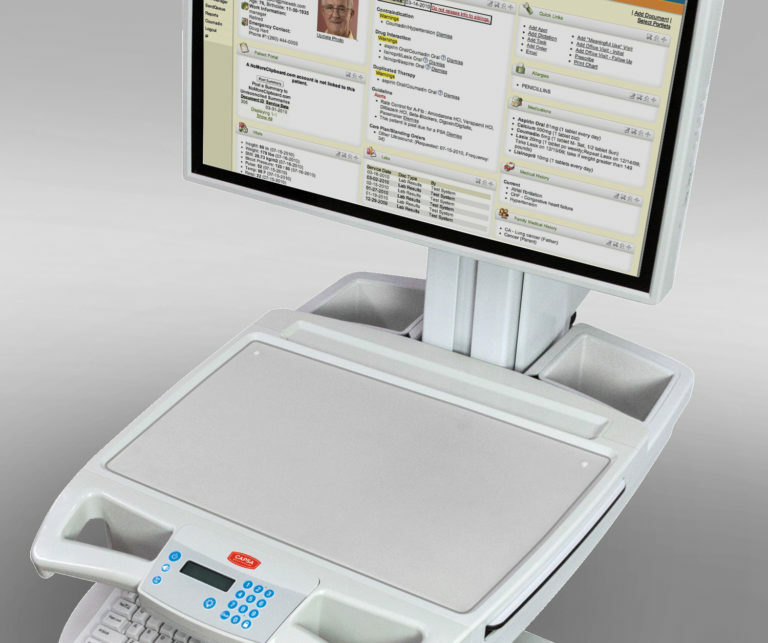 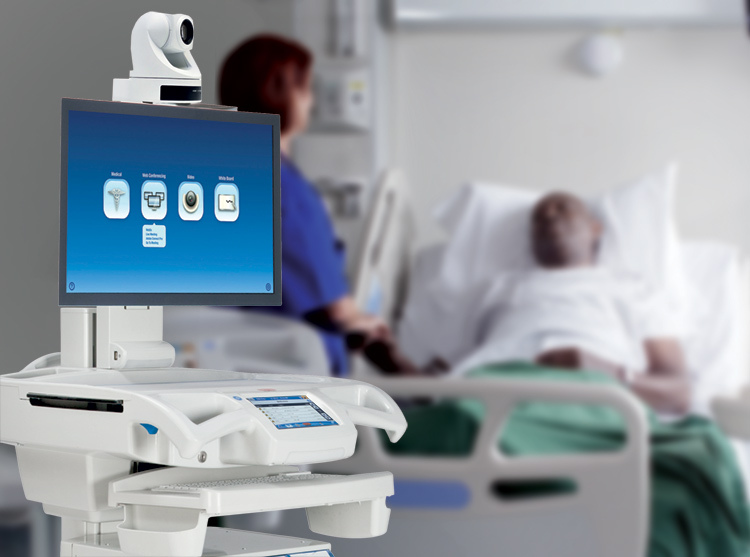 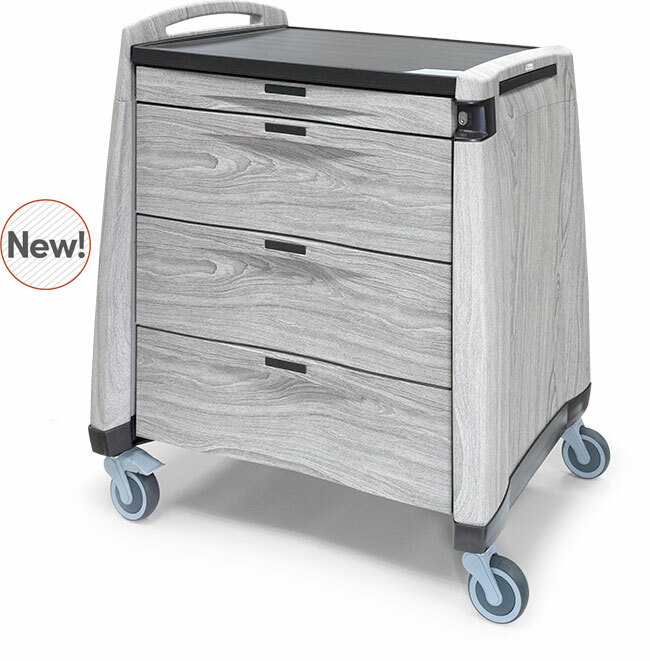 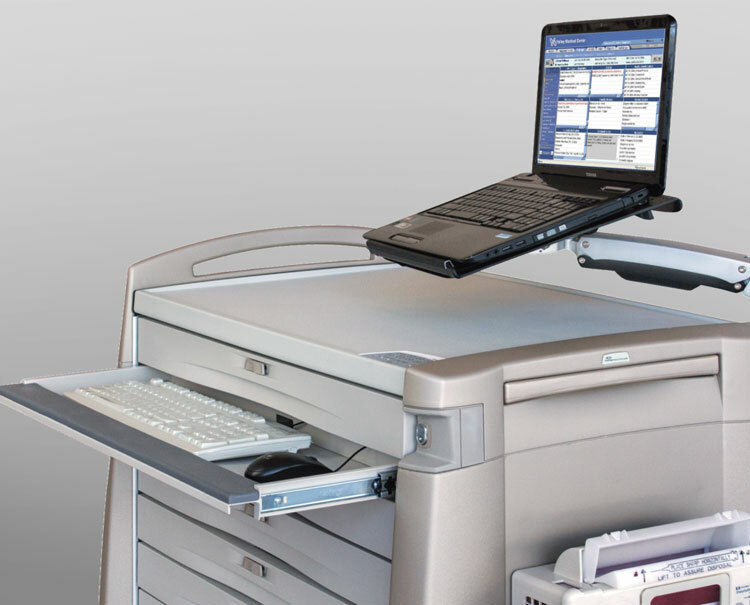 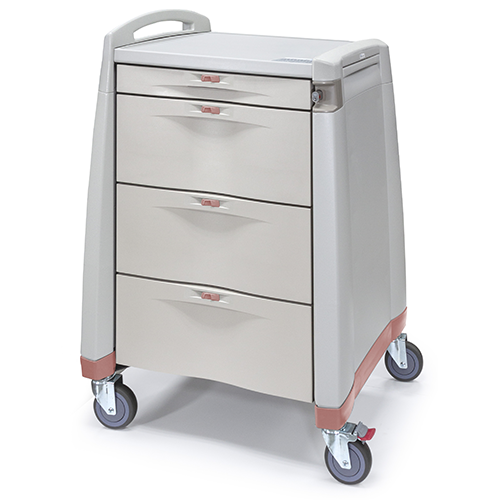 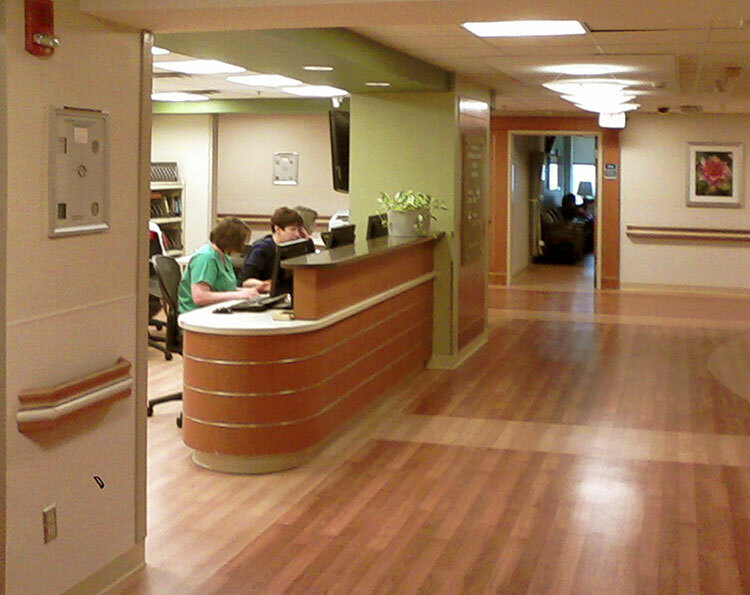 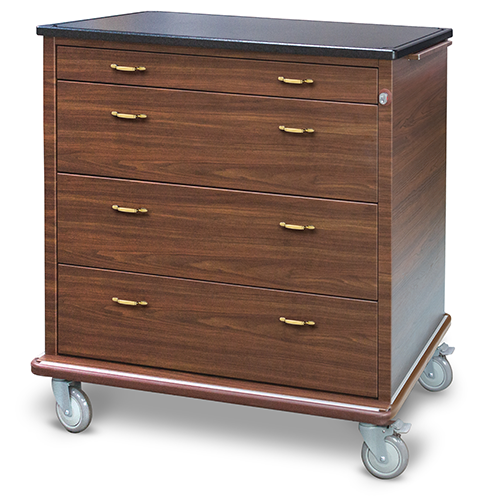 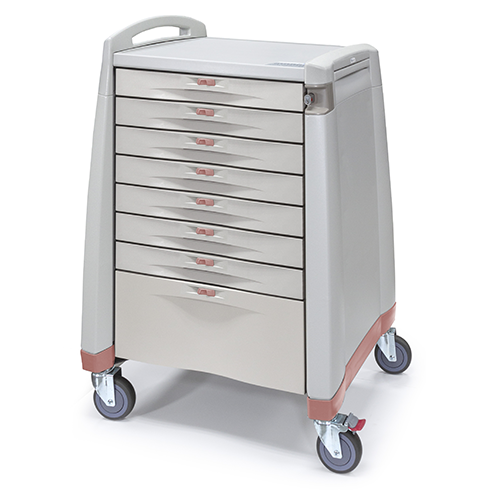 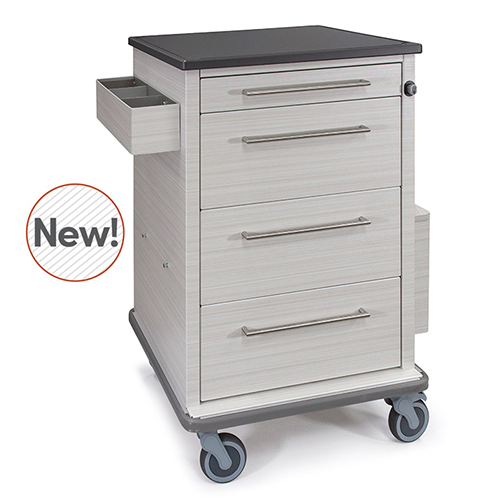 Enjoy enhanced pharmaceutical and supplies storage and organization, solutions for controlled medication safety, and the ability to mobilize electronic health records (EHR/EMR) with any of our senior care medication carts and medical carts on wheels. 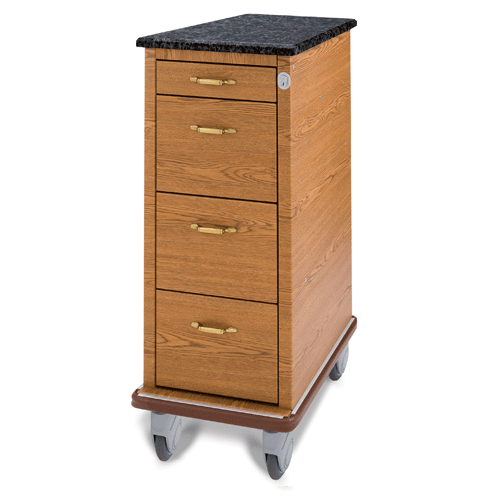 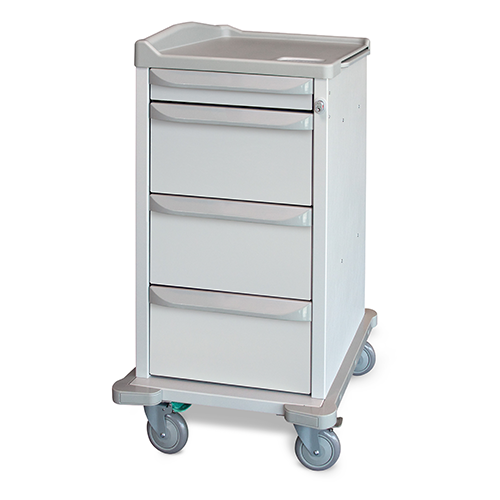 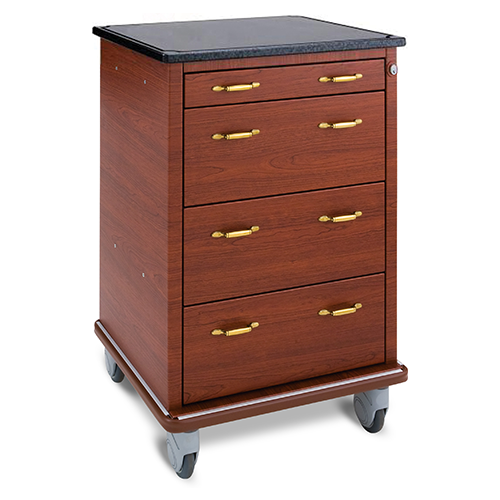 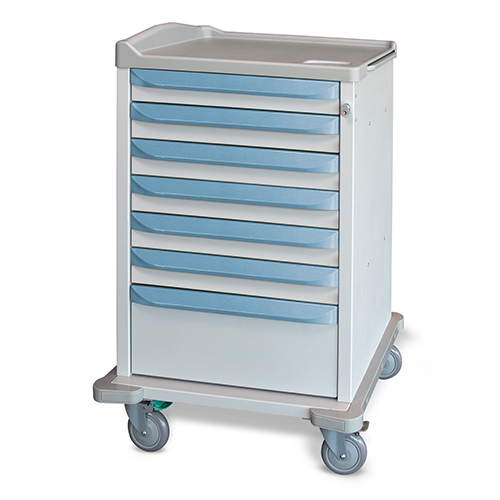 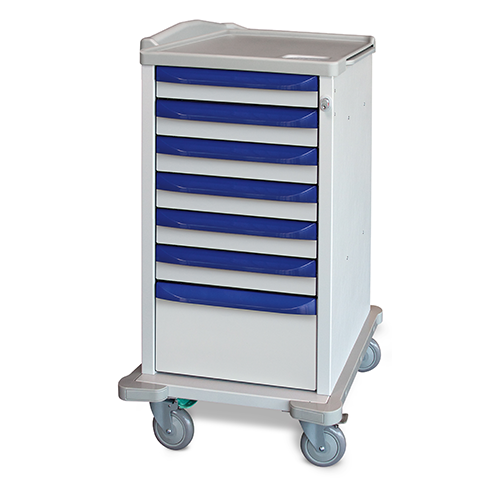 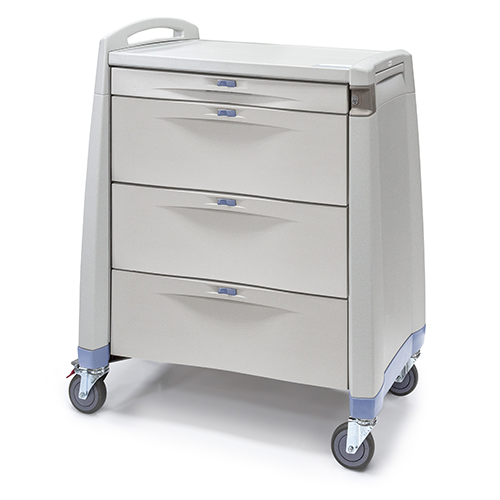 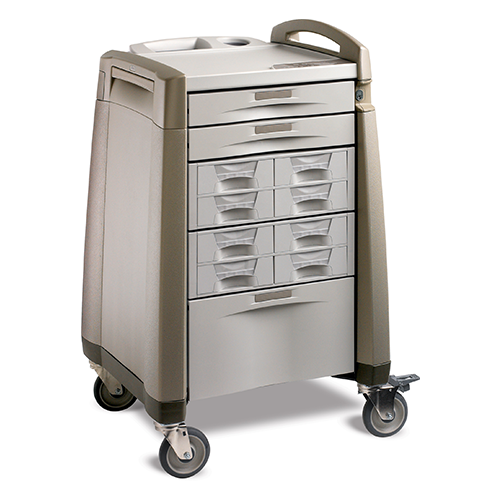 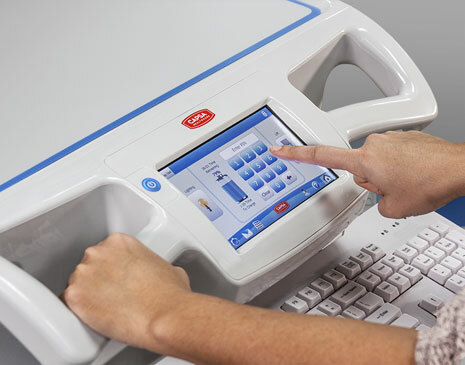 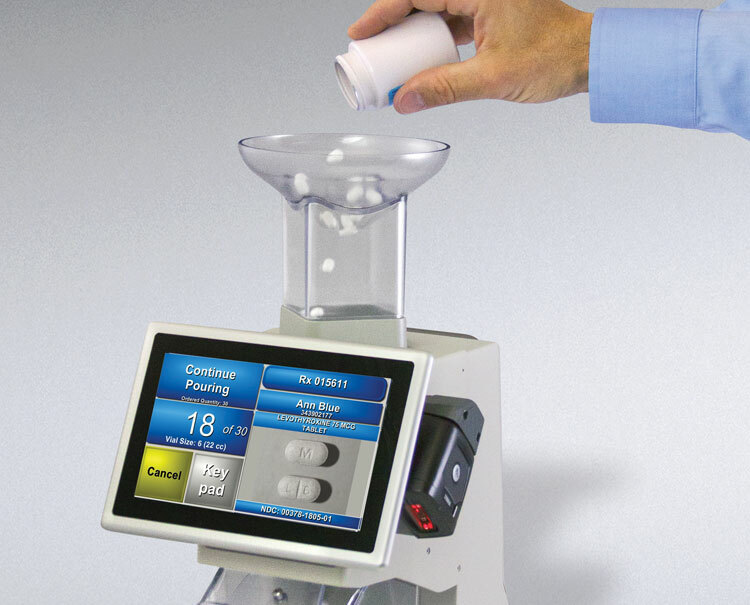 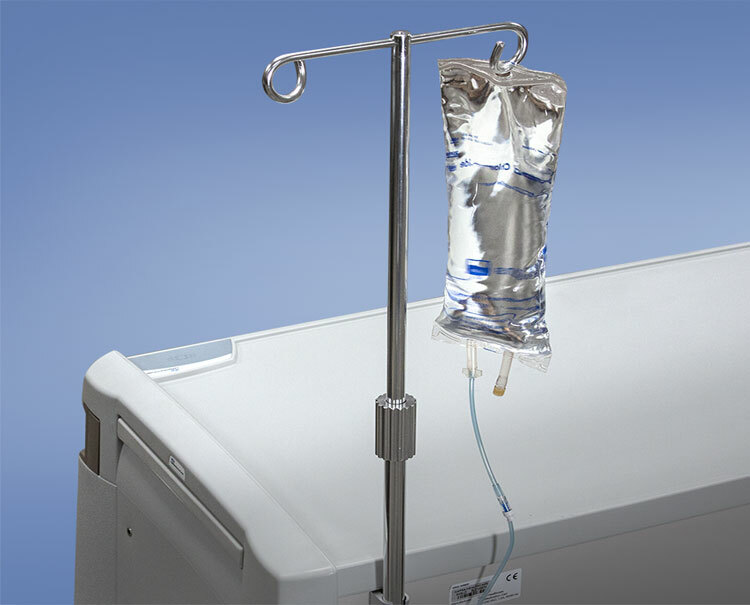 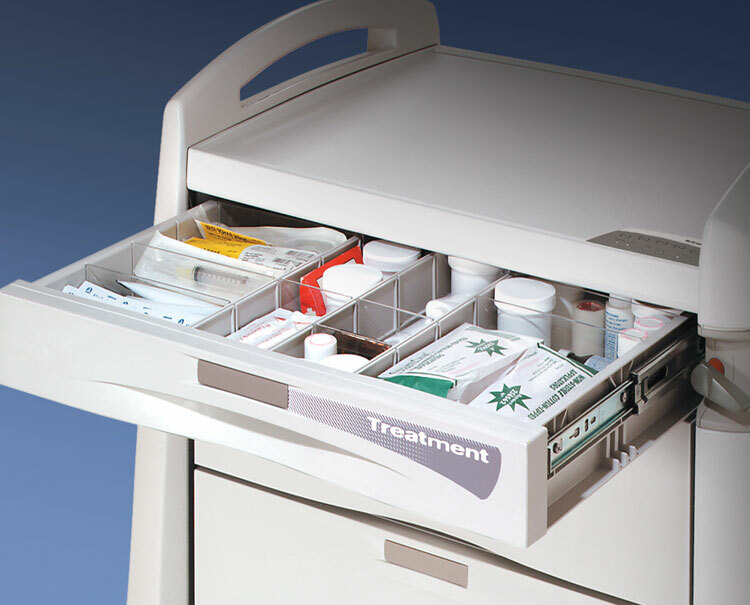 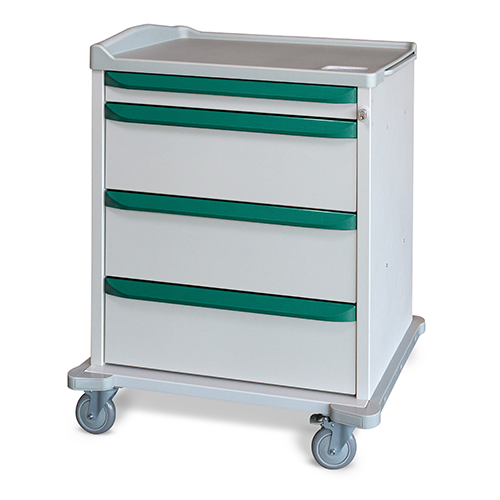 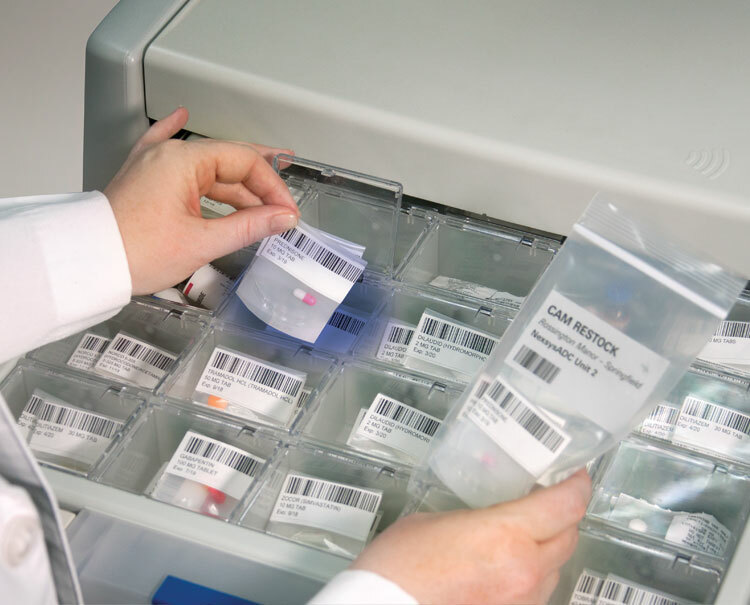 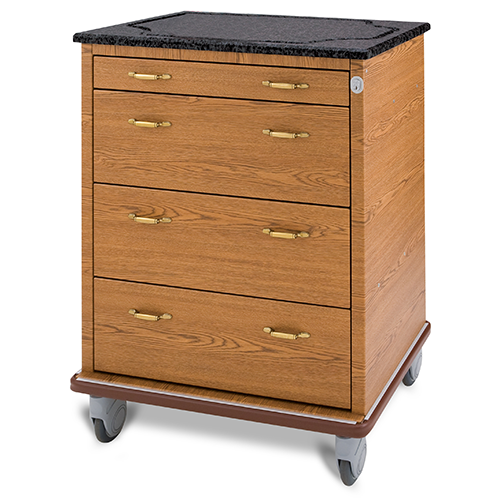 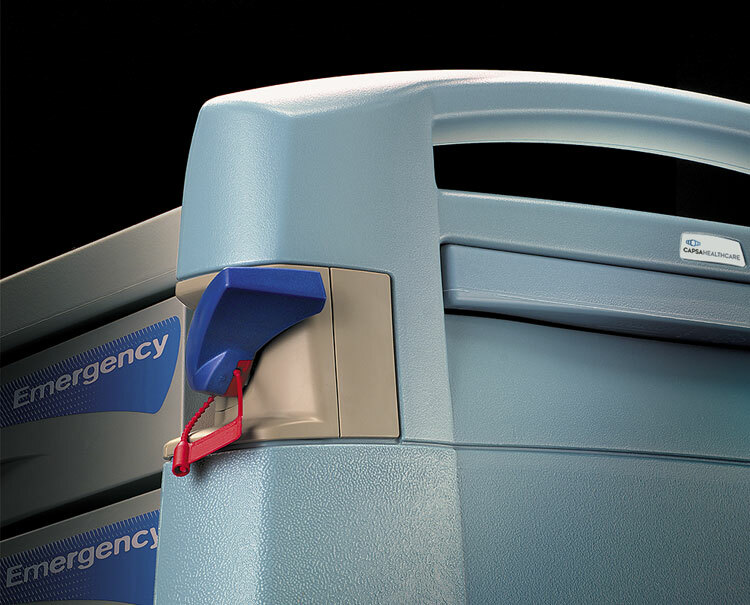 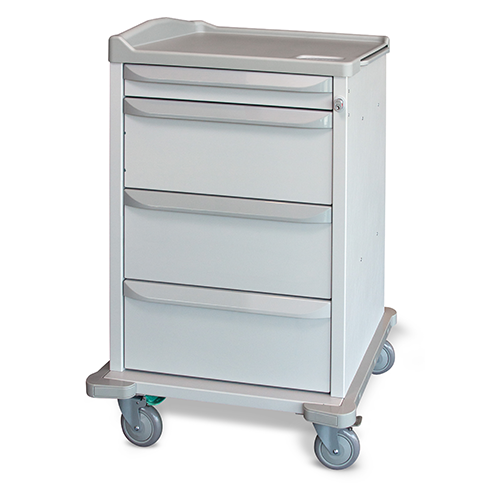 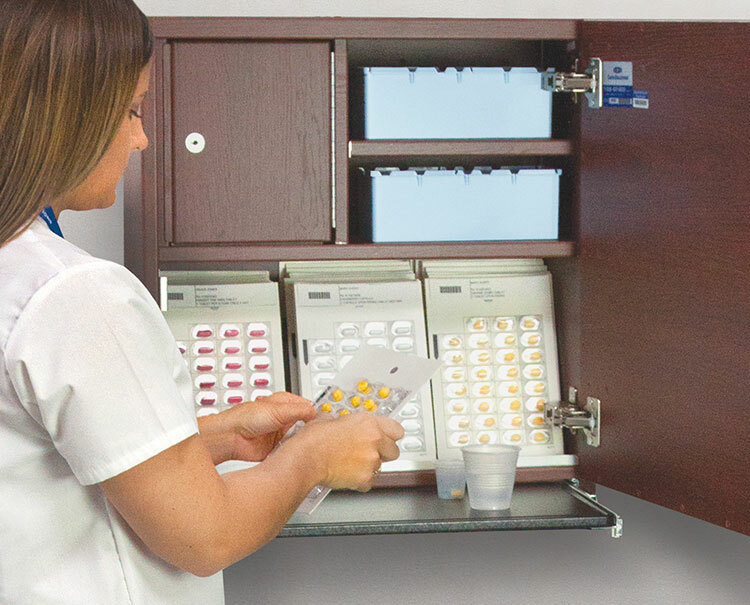 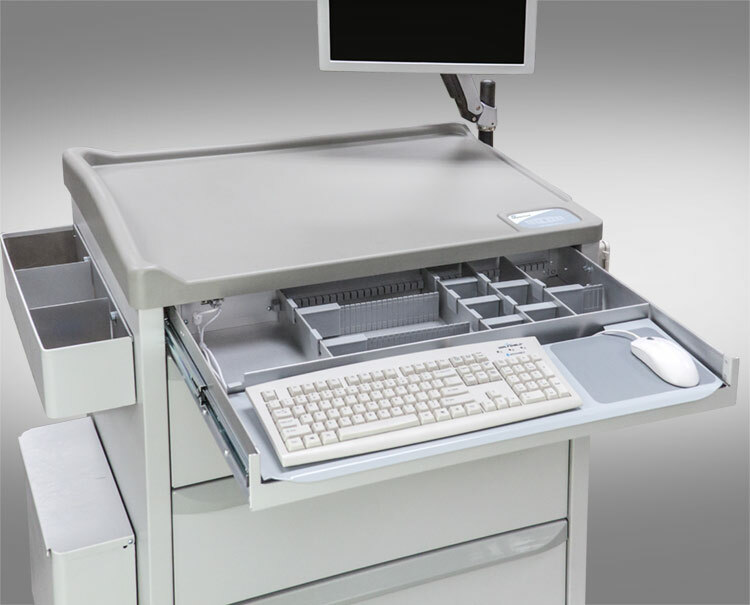 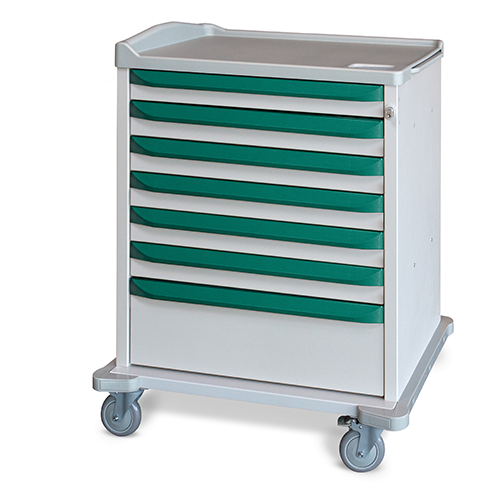 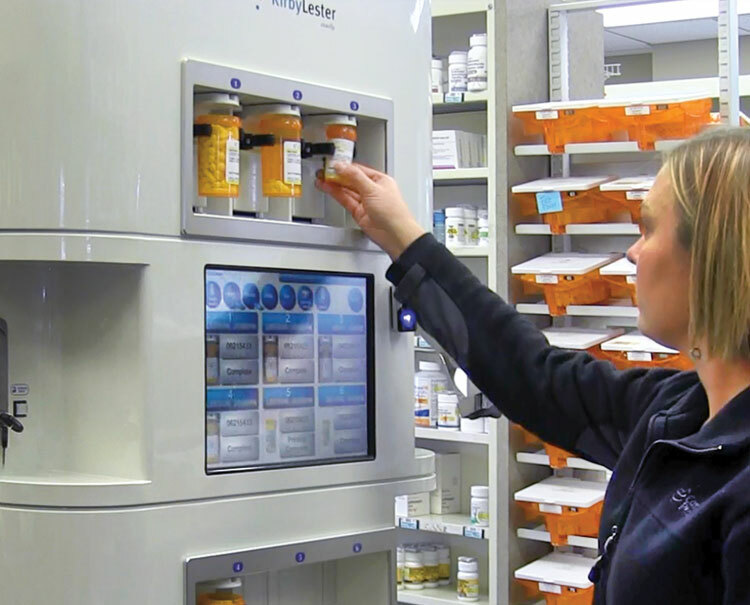 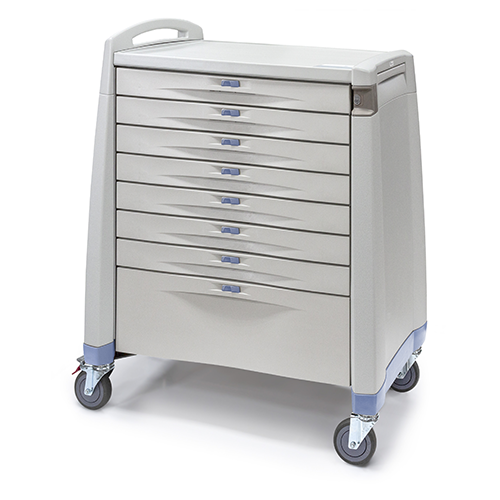 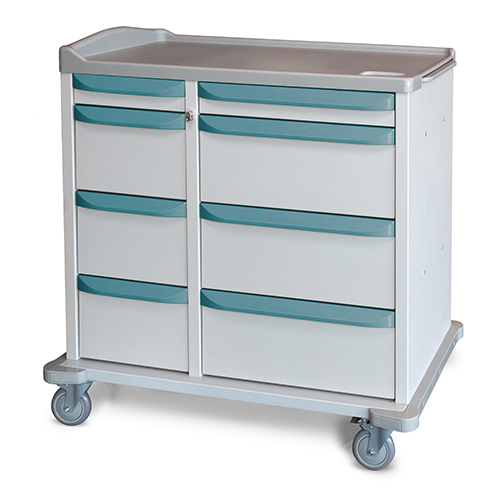 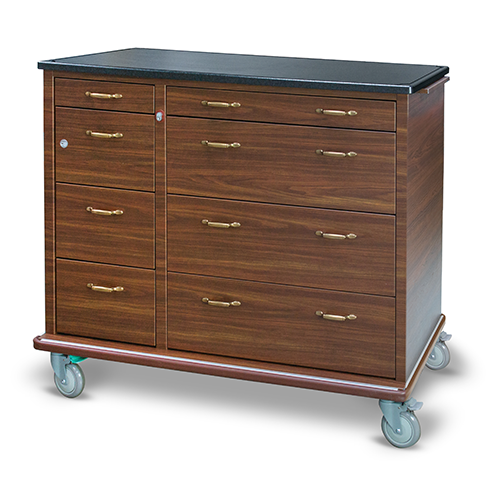 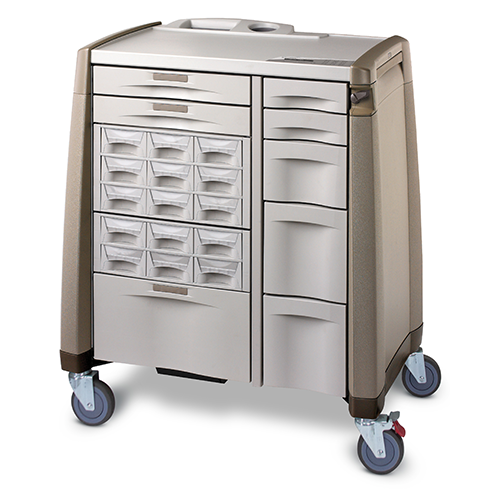 Capsa Healthcare medication carts easily accommodate any medication delivery system including punch cards, auto-packaging, and unit dose box.